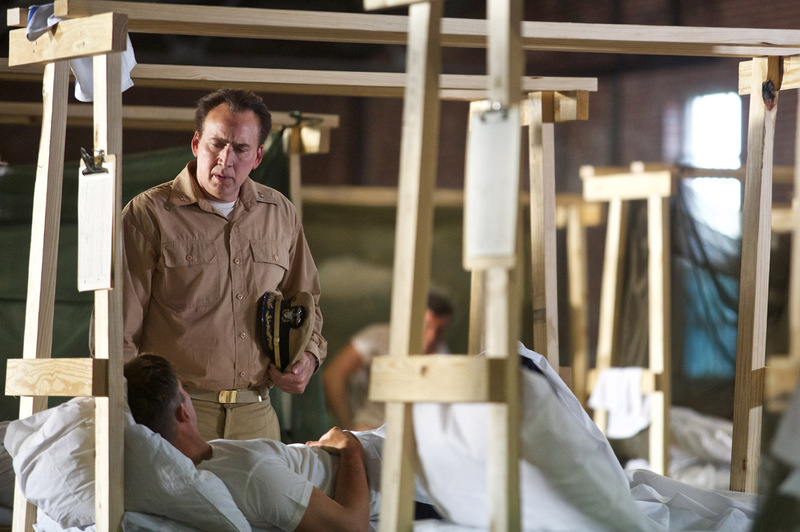 Based on true accounts of those who have survived during the waning days of World War II, the thrilling and inspiring “USS Indianapolis: Men of Courage” tells of the Navy warship USS Indianapolis that secretly delivered one of two atomic bombs that would eventually end the war. 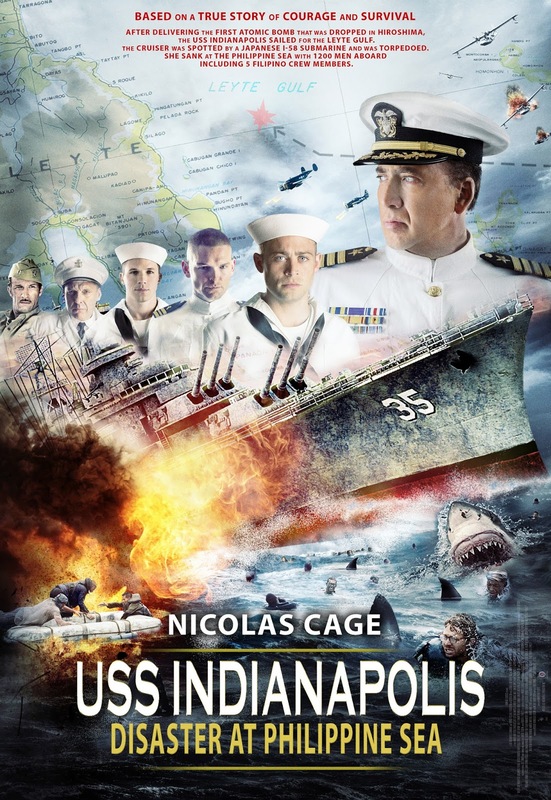 “USS Indianapolis: Men of Courage,” stars Nicolas Cage, Tom Sizemore, Thomas Jane, Matt Lanter, Brian Presley and Cody Walker and directed by Mario Van Peebles. When the Japanese learned of the USS Indianapolis within reach, they attacked and sank the heavy cruiser. The USS Indianapolis’ mission was so classified it was not reported missing, and no one knew the ship had been attacked until four days later. 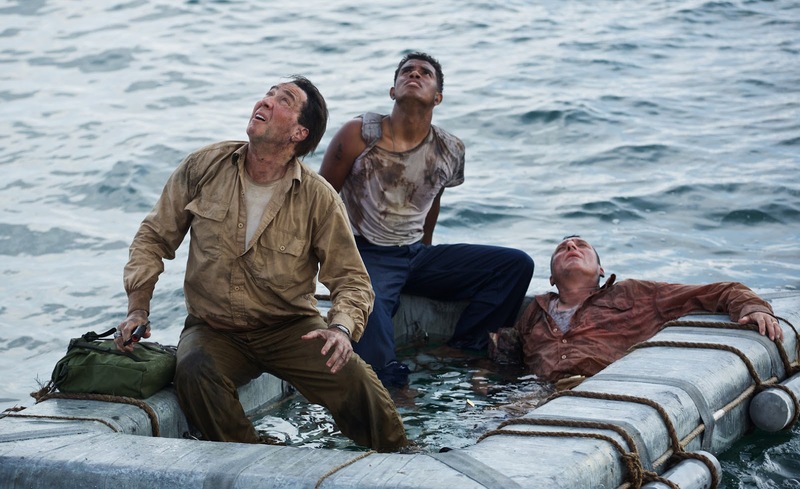 Stranded in the shark-infested waters of the Philippine Sea, the remaining survivors of the USS Indianapolis endured hunger, thirst, heat, delirium, relentless shark attacks and the death of many shipmates. Of the 1,197 crewmembers, nearly 300 went down with the ship. Five days later only 317 men survived and were eventually rescued. 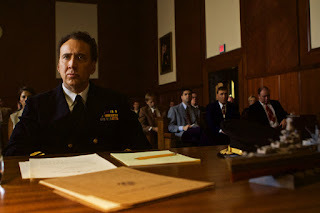 They did exhaustive research, with survivors, the US Navy, court documents and historical papers. In their research, they discovered the Second Watch organization formed by the family members, friends and supporters of the men of the USS Indianapolis. Their mission statement reads, Although the USS Indianapolis (CA35) died at sea, the memory of her crew lives. Through the efforts of the USS Indianapolis (CA35) Second Watch, the memory of the Indianapolis will be preserved; her history, story, feeling and experiences shared. The Second Watch became an instrumental part of the project, providing historical facts, records and photos from survivors and their families. Most importantly, they provided a connection to survivors still living. 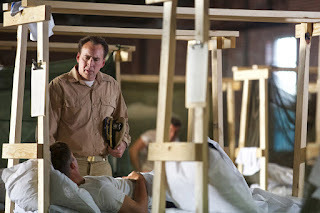 “USS Indianapolis: Men of Courage” opens August 24 in cinemas from Pioneer Films.